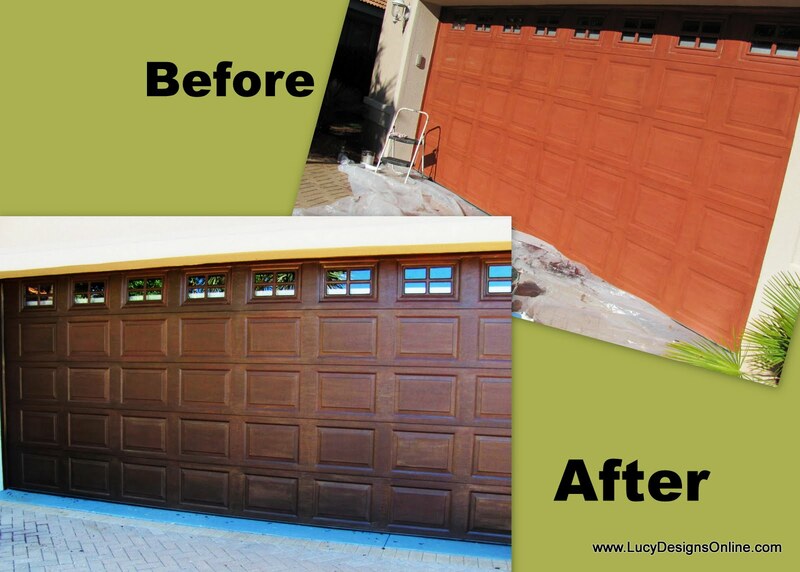 I just completed this garage door for a client. with water. You may want to wash your door with soap and water. 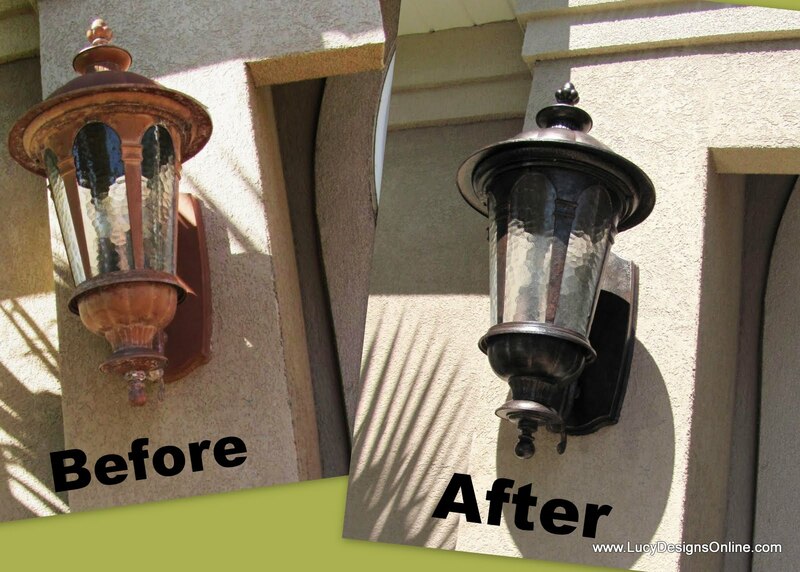 I added a warm brown base coat in exterior semigloss paint using a paint roller and brush. I let the paint dry overnight and came back the next morning. hot day and the paint was drying fast so I had to work quickly. After the black wash was dry, which didn't take long in my case. starting where I had started the black because it was completely dry. Working in sections, I dry brushed Martha Stewart Metallic Bronze over the black. To "dry brush", dip the tip of your brush in the paint and wipe off all the excess leaving only the tiniest bit of paint on the brush and use a light hand to apply. You will get in the groove and see what works and can add more or less to your liking. still warm from the sun so all my coats of paint dried super quickly. to help highlight the texture in the door. Hard to capture, the color but it looks sooo good in person! Painted garage door before and after. light fixtures. I used the same paints and process for all the lights. And these are on either side of the front door. 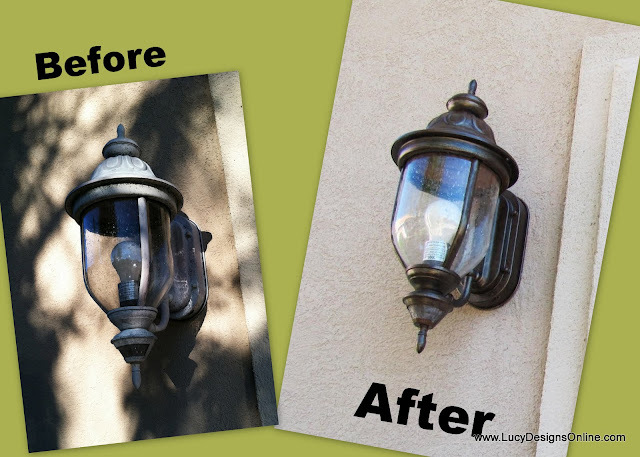 Thanks so much for checking out my garage door makeover! Nice work! Need you over here in Sweden! so pretty,, you have been very busy, I bet you are worn out. They look great. You put a lot of work (and layers) into these doors but they do look fantastic!